The Mayor of London New Year’s Eve Celebrations has become the most watched live program on BBC 1 with 13.1 million viewers in 2016. As one of the largest and instantly recognisable shows worldwide, Titanium Fireworks were once again delighted to be involved with this event. The display is a Mayor of London Event, produced by Jack Morton Worldwide and for the first time this year the Mayor’s office partnered with Unicef, bringing people together offering a new year resolution for children. To support this partnership, famous landmarks all over the capitol were lit blue including the clock face of Big Ben, the BT Tower, The National Theatre, the Shard, the Shell building and of course the London Eye and County Hall. 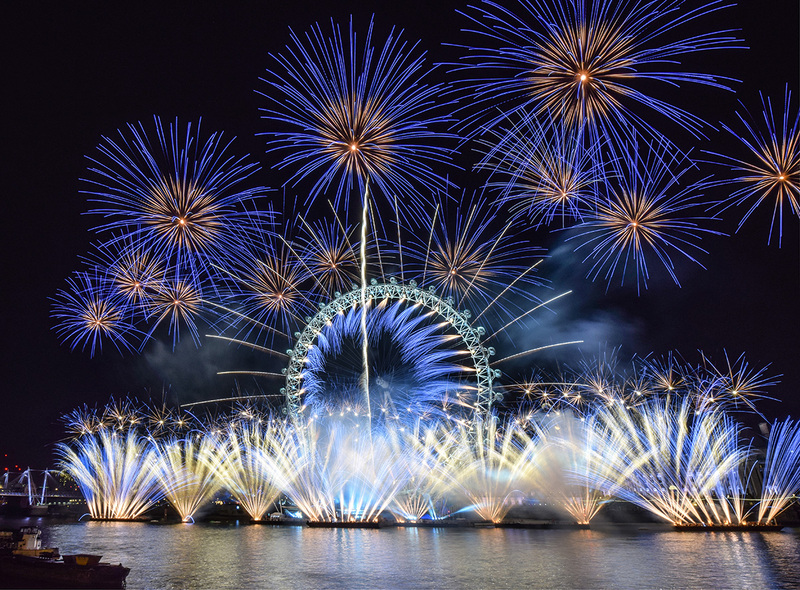 To compliment this homage to Unicef, the opening barrage of the pyromuiscal display included a blue sequence which erupted from the London Eye and barges and pontoons along the river Thames. Once again the display was ticketed for the second year, which was sold out. 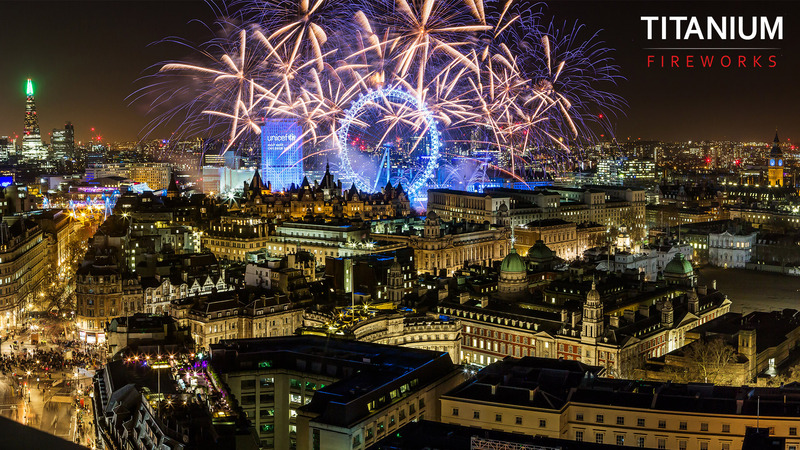 The display is the largest annual display in Europe and is broadcast around the world with over 12,000 fireworks fired in to the London Skyline in just over 10 minutes. With a crew of 36 dedicated pyrotechnicians working around the clock from Boxing Day through to New Year’s Day to deliver this display, we are grateful to our hard working and dedicated team. It is very nerve racking waiting for the midnight moment, especially as there are so many external influences that can effects the display, least of all the weather and in particular the wind. 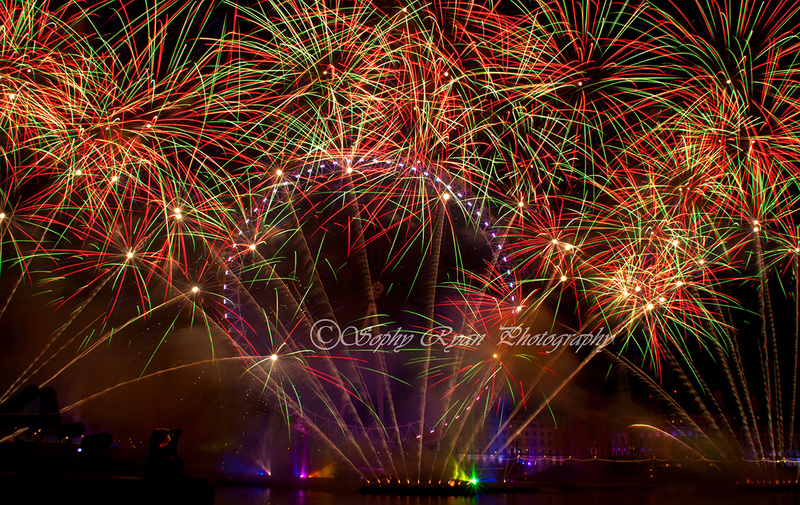 We experienced near perfect conditions this year and we are very thankful for the many glowing comments and universal praise for the display, least of all from the Mayor himself, Boris Johnson who hailed the display a huge success and a spectacular way to celebrate the New Year, proof that London is truly a great city.